I am a recent graduate of a coding program and am researching different certifications. I have no experience and no job. 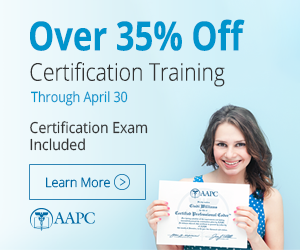 Which certification would be best for me? CPC or CPC-H? I don't know which would be more useful. I think the CCA from AHIMA would be a better choice for me since I don't know which setting I will be working in, but I would like to get a credential through AAPC so I can do an externship through them. Where are the majority of coding jobs? Hospitals (CPC-H) or physician offices? (CPC) Thanks! I got my CCA right away when I finished school, however I am not sure if it will get you many jobs. I just got lucky and was already working in medical records at a hospital and was able to work my way up. I also have my CPC and currently work in a Surgeon's office, but I know at my last job they would have hired you as an outpatient coder with a CPC. If you are looking to be able to make more money and the possibility to code from home or be an auditor, I would recommend you get you CCS. I am studying for my CCS right now. I really enjoyed inpatient coding when I got a chance to do it and want to get back to doing that someday. National DOT certification vs State Certification?